Prices on Homestay.com are shown based on the preference of the guest. 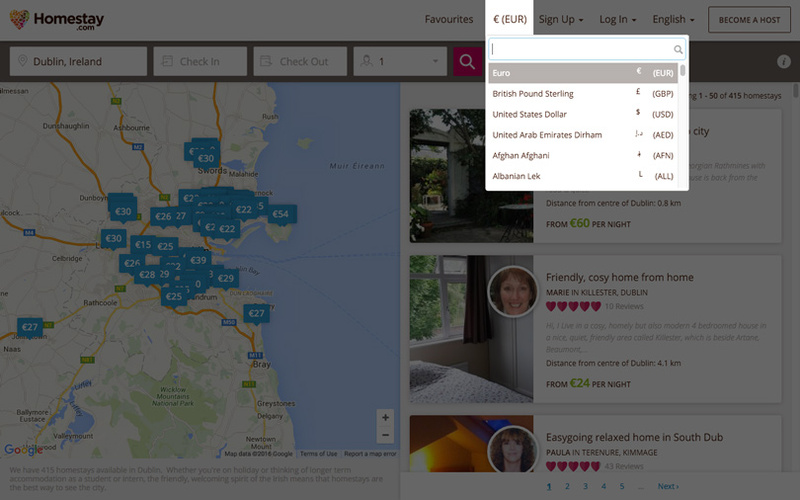 The guest can choose what currency they want to see the prices in when browsing on homestay.com with a selection box on the header. Our prices are currency converted based on exchange rates from third party https://openexchangerates.org and are subject to normal currency fluctuations.